An independent media organization says that America currently operates under two systems of justice — one for the elite and one for the rest of us — while the FBI and Justice Department are “enemy combatants” that no longer faithfully follow or enforce the law. Just look at what we’ve learned regarding Hillary Clinton’s tenure as secretary of state and Obama’s “Spygate” operation against Trump. Clinton essentially trafficked in classified information. Even then-FBI Director James Comey laid out in detail what FBI agents found regarding her mishandling of secret data via her unsecured, unprotected, and unauthorized private email server: “seven e-mail chains concern matters that were classified at the Top Secret/Special Access Program level when they were sent and received.” He went on to note, “there is evidence of potential violations of the statutes regarding the handling of classified information,” but then claimed “no reasonable prosecutor” would have taken up the case. Of course, they would have. Seven email chains containing information classified at the highest levels being handled ‘in the open’ are serious violations of federal statutes including the Espionage Act. Not only should Clinton have been prosecuted, she would have been convicted if prior similar cases involving other people are any indication, and would likely have died in prison. But she’s still breathing free air. What about Peter Strzok? 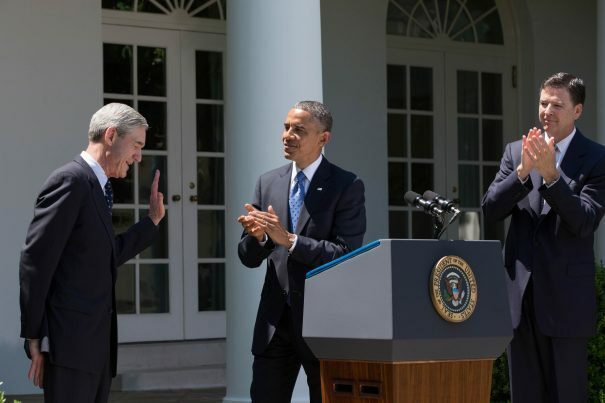 Earlier this week, the anti-Trump FBI official was unceremoniously walked out of bureau headquarters following new revelations contained in Justice Department Inspector General Michael Horowitz’s report regarding the investigation into Hillary Clinton’s email. Strzok, who at the time was the bureau’s No. 2 counterintelligence official and was heavily involved in the Clinton email probe, told his paramour, then-FBI lawyer Lisa Page, that “we’ll stop” GOP nominee Donald Trump from becoming president. How long can ‘two systems of justice’ survive? The timing of the text is important. It came nine days after “Crossfire Hurricane” — the juvenile name of the “Spygate” operation — was launched and six days before his “insurance policy” text. “I want to believe the path you threw out for consideration in Andy’s office…that there’s no way [Trump] gets elected…but I’m afraid we can’t take that risk,” Strzok text messaged to Page in an Aug. 15, 2016 exchange, referring to Andrew McCabe. He’s not been charged yet, and neither has fired FBI Deputy Director Andrew McCabe, who was dismissed because he lied to federal investigators (the same crime Michael Flynn has pleaded guilty to and to which other Americans have been thrown in jail). For that matter, Comey hasn’t been charged, either — for criminal leaks of classified information (discussions with President Trump; all conversations with the president are automatically classified). Clearly, BATR.org is right: There are two systems of justice — one for the elite and one for the rest of us. How long Americans continue to put up with this criminal misconduct remains to be seen, but suffice it to say everyone has a limit to what they will tolerate. There is more news about the uprising against the elites at Revolt.news.